OpenTok Feature | Screen sharing for conversations in context. 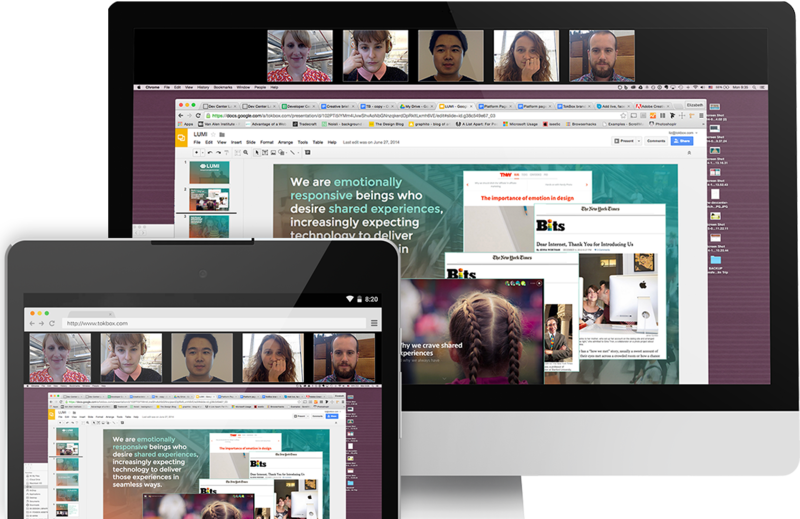 Share your screen instantly with anyone for online meetings, presentations and more. TokBox’s screen sharing functionality makes it easy to enhance your real-time communications experience with the power of content, all within the context of your website or application. TokBox makes it possible to share content from your desktop or mobile device in your call. No longer limited to web based content, now you can upload and share documents and files within the context of your call. Across a wide range of industries, the ability for a presenter to share their screen content is powerful. Whether you’re a professor hosting a virtual class, or a tax consultant working with a client on their return, screen sharing enables a richer, more collaborative experience.ite or application.